Now in its 41st year, The Great British Beer Festival (GBBF) is returning to London this summer from the 7-11 August at Kensington Olympia. Organised and run by the Campaign for Real Ale (CAMRA), the GBBF) will showcase more than 900 real ales, ciders and perries and one-off speciality brews from independent breweries across the UK. Standard tickets start from £9 for CAMRA members, or £11 for non-members. There will also be VIP packages available for larger groups. 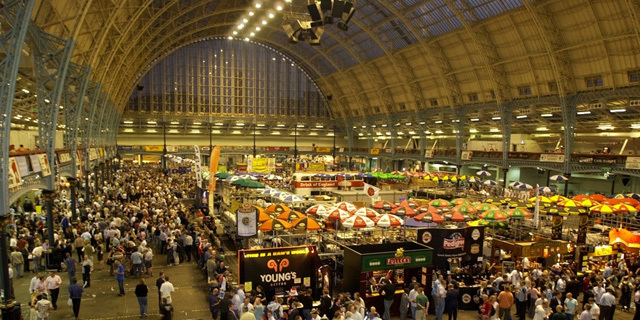 Catherine Tonry, the organiser of the Great British Beer Festival said: “We are delighted that the Great British Beer Festival will be returning to London once again this summer. There will be a number of exciting new brews and entertainment available this year so we recommend getting your tickets early! Last week, the brewing body proposed changes that would see its remit expand to include cider and perry for the first time and its focus shift “beyond traditional pubs”, ahead of a revamp of the organisation’s priorities in April.